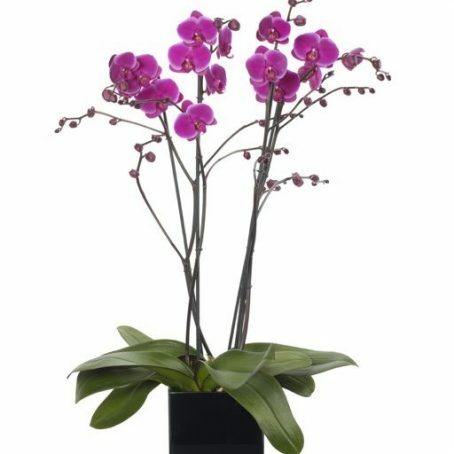 Categories: Mother's Day Flowers, Spring Flowers, Summer Flowers. Our master florists in Chelsea hand pick only the finest quality cut flowers to make this beautiful, luxury Calla Lily and Rose Bouquet. 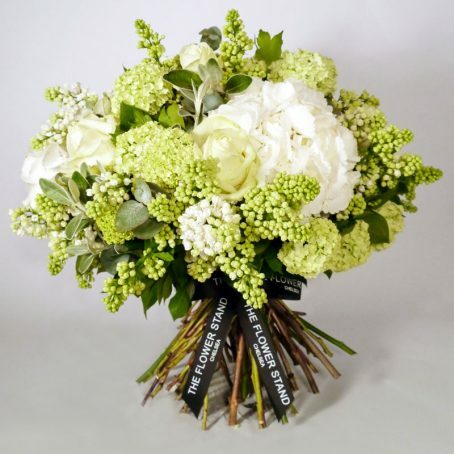 Calla Lilies, Roses, Astransia and Guelder Rose are expertly arranged to make this truly stunning bouquet. 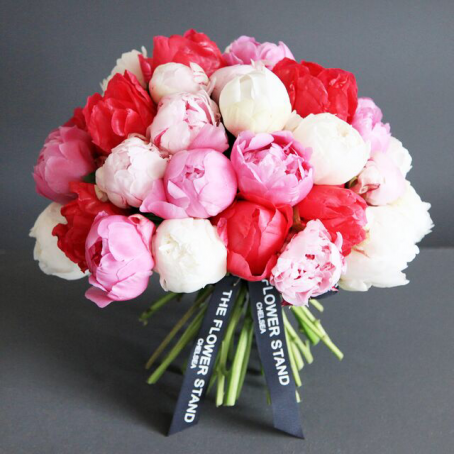 Here at The Chelsea Flower Stand, we use only the freshest flowers straight from the Dutch flower auctions, so you can be sure that your beautiful bouquet of flowers will look perfect from the very moment it arrives and in the days to follow. A popular flower for wedding bouquets, Calla Lilies, are one of the most beautiful flowers due to their unique flower form. Calla Lilies come in a wide range of and are known by such common names as, Arum Lily, Trumpet Lily, Pig Lily, or Miniature Calla Lily. Guelder Rose, is also known as dogberry, water elder and the snowball tree. The name ‘Guelder Rose’ relates to the Dutch province of Gelderland, where the popular cultivar, the snowball tree, supposedly originated. Due to its pretty creamy-white, or sometimes pink, flat-topped flowers and bright berries, Guelder Rose is a beautiful addition to many a bouquet of flowers.